Continuing my quest to try every xiao long bao in Toronto, the BF picked Ding Tai Fung as the venue for his family birthday dinner. 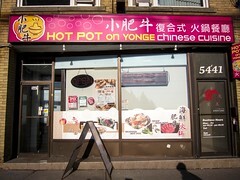 This was my first visit to the restaurant, who it would seem borrowed their name from a famous restaurant in Taiwan. 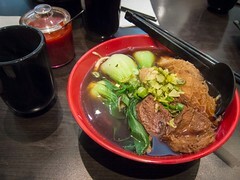 Since I’ve never visited Din (no “g”) Tai Fung before, I didn’t really have any preconceptions for the Markham version. Atmosphere: The restaurant was busy with a considerable crowd waiting at the entrance. Luckily we had reservations, which were honoured and allowed us to get a seat quickly. I liked how a portion of the kitchen was fitted with a glass window. This allowed diners to watch the chefs as they prepared dumplings and other baos to be steamed. I’m always a fan of watching how dishes are prepared. Service: Service ranged from unmemorable to sub-par and generally seemed unorganized. At one point a girl tried to clear our steamer trays with “xiao long bao” still left! I understand being efficient but really? Other than that, dishes arrived uneventfully. 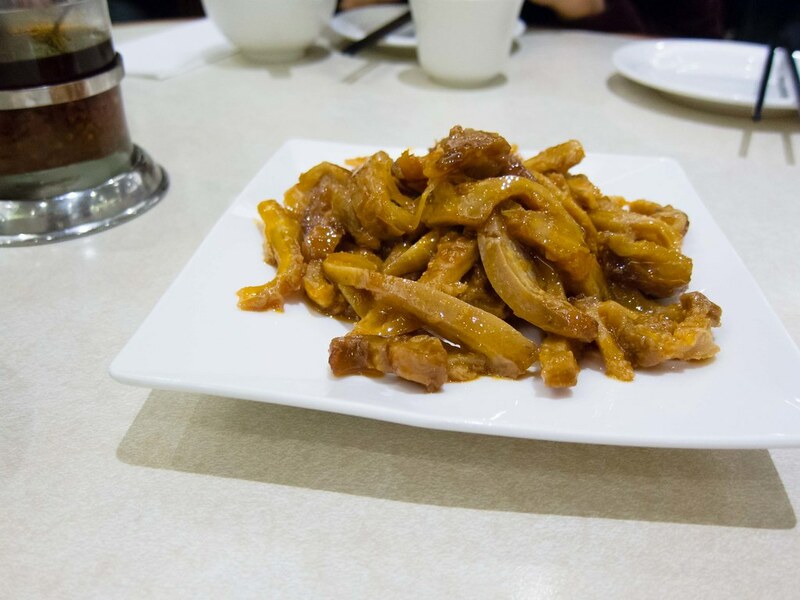 Food: We started with two cold dishes, sliced pork belly with chilli sauce and marinated beef tripe. For me, the tripe needed just a touch of salt that would have enhanced the other flavours in the sauce. 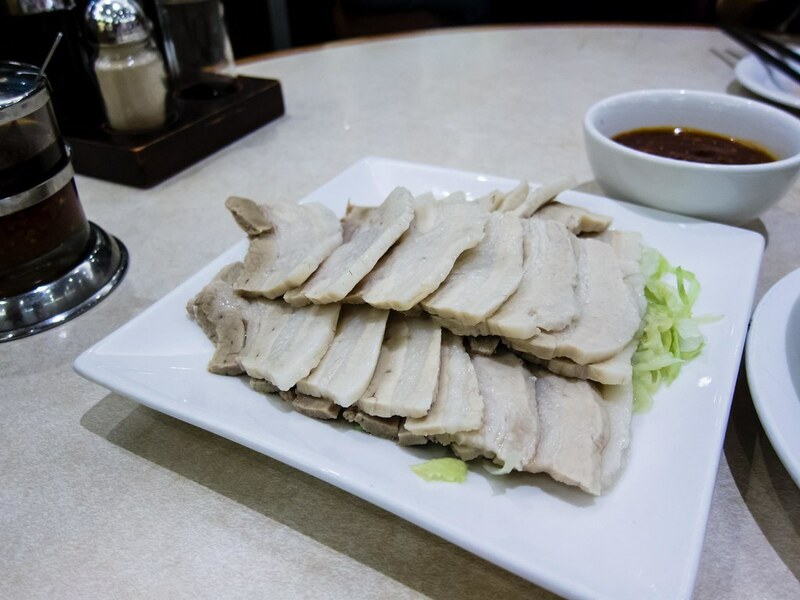 The pork belly was good, sliced thin and evenly. This isn’t my favourite way to eat the cut of meat though. I prefer it charred or grilled, which caramelizes the fat. 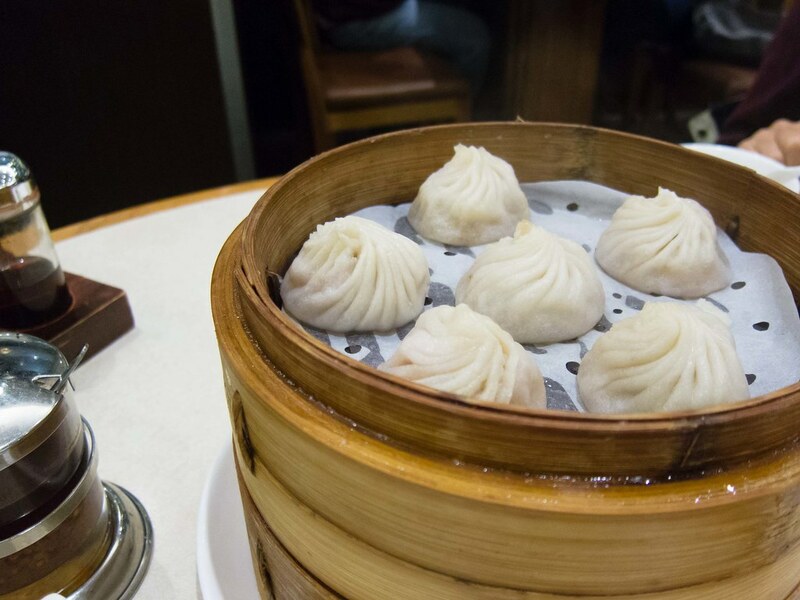 The xiao long bao was freshly steamed and each bao was filled with a spoonful of sauce. We had a tray each of the crab and the pork fillings. With the crab, you could taste the seafood but it was light and not overwhelming. 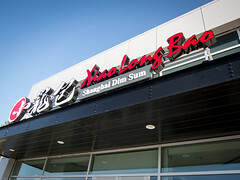 I would rank Ding Tai Fung among the top choices for xiao long bao in Toronto, just behind Shanghai Dim Sum. Sadly, the shengjian bao was not what I was looking for. Again, they were more steamed bao and not fried nearly enough, even the bottoms weren’t that crispy. 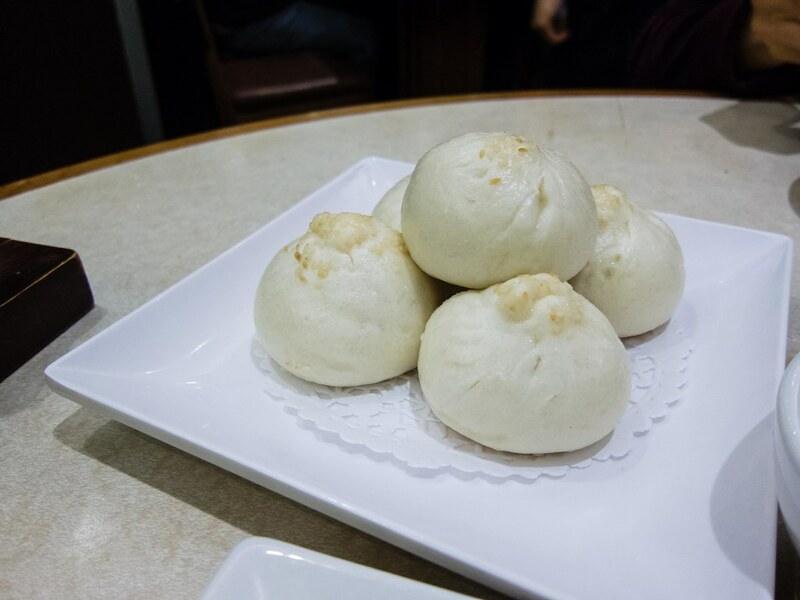 The search for an authentic shengjian bao in Toronto continues. My favourite dish of the night was the scrambled egg whites with fish. 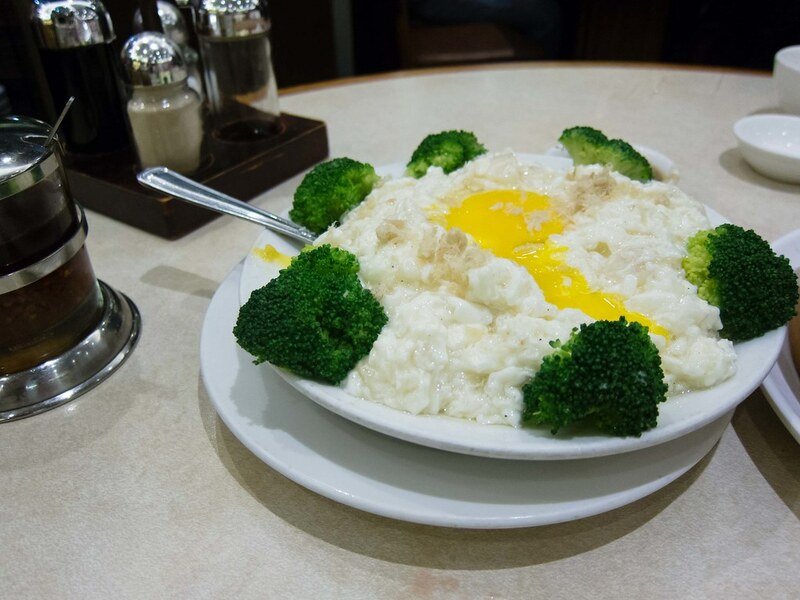 The yolk is served raw in the centre of the scrambled egg whites, which mimics crab meat, all over a bed of rice. 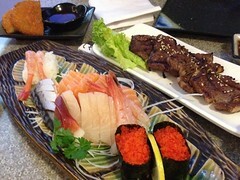 Each bite was savoury, rich and a great combination of textures. 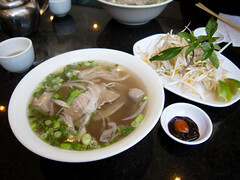 This is a dish that I would definitely order again especially as it’s difficult to replicate at home.